This is a directory dedicated to Canadian SEO specialists and webmasters. Try Canada.com is the property of Jean-Sebastien Coutu. 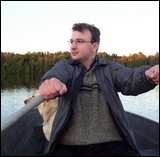 I am a well-known SEO consultant/lecturer in Montreal. I hold a master's degree in communication technologies from the University of Montreal (2002), and have over 10 years of professional experience in the computing field. 1- The name "Try Canada" means that you, dear fellow Canadians, should give our Canadian websites a try. We have plenty of online stores and quality content here in Canada. 2- I also want to help Canadian webmasters compete with foreign websites for Search Engines Ranking, by collecting hard links and contextual links, free of charge. 3- If you take a close look at the dozens of Canadian directories available online, you will realize that at least 95% aren't worth the time it takes to fill out a submission. These directories will redirect links (for silly statistical purposes), attract no traffic, artificially inflate Pagerank, and provide no contextual text links. Many are too expensive, include over 200 external links per page, and have editors who rename your titles without your consent. There is an urgent need for a directory that really helps Canadian webmasters to promote their websites. For these reasons, I decided to create this exclusive directory for Canadian-based websites. My intention is NOT to transform this directory into an "advertising money machine". I show carefully chosen ads that help me to pay for hosting and the daily management of content.For this reason, you can submit your Canadian website for free and expect to receive a quick answer. Fill out the form "Add your url" to submit your Canadian website. If it meets the requirements (read the Submission Guideline), your site will be added and shown in this format : title, description, url, city. This is your "title", which is going to be clickable (as a hard link). Finally, even if TryCanada is dedicated to helping Canadian websites, that doesn't mean that it will accept every submission. Actually, not all sites get listed. Determine what constitutes a quality website and whether my Submission Guidelines are clearly met is a matter of my discretion alone. Don't waste your time insulting me through email if I reject your submission. This is MY directory and I won't let anybody tell me what I should do with it. Never forget that I pay to maintain a FREE DIRECTORY. So, if you aren't satisfied, start your own.